This course is no longer available for admission. It is only open to existing students who have already been offered a place and completed one or more units of study. To enrol for a combined degree program students must fulfil the admission requirements of both degrees. Refer to the requirements for both disciplines. 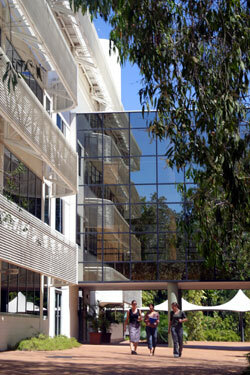 The University determines that the minimum entry requirement to Higher Education undergraduate programs is met by: Successful completion of the Northern Territory Certificate of Education (or equivalent) and a Tertiary Entrance Rank of 70 or higher; Or Successful completion of a relevant TAFE award of Certificate Level 4 or higher; Or Attainment of a STAT score of 170 or greater; Or Successful completion of at least one year of full-time study (or equivalent) of an undergraduate degree/diploma course. 'Dean' means the Dean of the Faculty of Law, Business and Arts. 'Faculty ' means the Faculty of Law, Business and Arts. 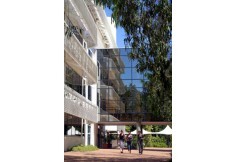 'School' means the School Board of the School of Law of the Charles Darwin University. Admission as a candidate for the degree of Bachelor of Laws is subject to such quotas and selection requirements as may be set by the School from time to time. (a) The Dean may give a candidate credit for a law unit if he/she has previously gained credit in that unit at this University or at an institution recognised by the Faculty as maintaining University standards; provided that a candidate who has been granted credit for a unit or units passed elsewhere than at this University shall, unless the School otherwise determines, be required to obtain credit at this University for no less than 120 credit points in units with the prefix LWZ, LWO, LWA, LWB, LWC, LWH or LWS. (b) A candidate who has previously gained credit for a unit at an institution recognised by the School as maintaining University standards and who is granted credit for that unit pursuant to sub-rule (a) of this Rule, shall be credited with a grade which, in the opinion of the Dean, is appropriate. (c) A candidate granted credit pursuant to sub-rule (a) of this Rule may be admitted to the degree course provided that the candidate is not currently under exclusion from another tertiary institution. The degree of Bachelor of Laws may be taken either as a pass degree or as a degree with Honours. To gain credit for a unit a candidate shall within the time prescribed for that unit attend lectures, seminars, tutorials or such other class contact as is prescribed, complete the assessment requirements prescribed in that unit of the course of study and shall fulfil such other requirements connected therewith as the School may from time to time prescribe, or be granted credit for the unit in accordance with these Rules. (a) A candidate shall qualify for the degree of Bachelor of Laws by gaining credit for units with a total credit point value of not less than 320 points in not less than eight semesters. (b) A candidate shall not be granted credit for more than 50 credit points of units in which a grade of Pass Supplementary or Pass Conceded has been obtained. (c) A candidate shall be required to complete all of the units prescribed in Schedule 1 Part A, in the order set out therein or in such other order as the Dean may permit. (ii) a minimum of two and maximum of six units from Schedule 3. (e) A candidate may not undertake more than two units with the prefix LWC. (f) A candidate shall be required to complete two units with the prefix CUC. (a) Except with the permission of the Dean, a candidate who is taking one or more first year units shall not enrol in units having a total credit point value of greater than 80 credit points. (b) Subject to sub-rule (a) of this Rule, except with the permission of the Dean, a candidate may not enrol in one year, save for in the fourth year of the degree as specified in Schedule 1, for units having a total credit point value of more than 90 credit points. (c) The Dean shall not approve the enrolment of a candidate in any unit which is, in the opinion of the School, substantially similar to another unit for which the candidate has been granted credit. (d) Where completion of prerequisites is required prior to enrolment in any given unit, such prerequisites may be waived in an individual case at the discretion of the Dean. The maximum period of candidature for the degree of Bachelor of Laws shall be ten years from the date of first enrolment in the degree unless, in an individual case, the School shall determine otherwise. (a) A candidate who fails a unit, but who obtains a final mark of 40% or more in that unit, may be granted a supplementary examination in that unit. At that supplementary examination, the highest grade that can be awarded is Pass Conceeded. (b) Where, because of Rule 7(b) or because of receipt of a final mark of below 40%, a candidate has failed to gain credit for the final unit towards the degree of Bachelor of Laws, or towards admission as a legal practitioner, the Faculty Examiners' Board, at its discretion, may grant a supplementary examination in that unit. At that supplementary examination, the highest grade that can be awarded is Pass Supplementary. The academic progress of all students will be subject to the relevant Rules of the University. (ii) shall have successfully completed a unit from Schedule 2 Part C, but no more than two units from that Part. (iii) Second Class Honours, Division B where the candidate has achieved a total Grade Point Average of 5.2. (ii) for the purpose of calculating the Grade Point Average for Honours Degree, units with the prefix LWC will be deemed to have the value of 40 credit points. In the event that a student shall have completed two units with the prefix LWC, the highest grade only of those units will be used in calculating the Grade Point Average. (d) In published lists, names of candidates awarded the same grade of Honours shall be placed in alphabetical order. A candidate who has fulfilled the requirements of these Rules and otherwise has complied with the provisions of all Statutes and other Rules applicable to them, may be admitted to the pass degree of Bachelor of Laws or to the degree with Honours of the grade for which they have qualified. (a) Subject to the discretion of the Dean, where a candidate for the Bachelor of Laws has, prior to admission to the degree program, completed a degree in a non-law discipline recognised by the Faculty from time to time, that candidate may enrol for the Bachelor of Laws Course for Graduates and may qualify for the degree of Bachelor of Laws by gaining credit for units with a total credit point value of not less than 270 points subject in not less than six semesters. (b) A candidate accepted for the degree course referred to in sub-rule (a) of this Rule shall be required to complete all of the units prescribed in Schedule 1 Part B in the order set out therein or in such other order as the Dean may permit. (ii) a minimum of two and maximum of four units from Schedule 3. (d) Except with the permission of the Dean, a candidate referred to in sub-rule (b) of this Rule may not enrol in one year for units having a total credit point value of more than 90 credit points. (e) Subject to sub-rule (d) of this rule, except with the permission of the Dean, a candidate referred to in sub-rule (b) of this Rule may not enrol in one year for units having a total credit point value of more than 100 credit points. (f) The Dean may prescribe from year to year a list of elective units from which the first year Group A or B elective unit (Schedule 1 Part B) may be taken. 15. Rules 1, 2, 3, 4, 5, 6(b), 7(c), 7(d), 8,9,10, 11, 12, and 13 shall apply to the Bachelor of Laws Course for Graduates. (vi) Bachelor of Science and Bachelor of Laws. (vii) Bachelor of Laws and Bachelor of Aboriginal and Torres Strait Islander Studies. (b) The courses set out in sub-rule (a) shall be referred to as 'combined degree courses' and shall be courses of study of not less than ten semesters. (a) This Rule does not apply to the combined degree of Bachelor of Jurisprudence and Bachelor of Laws (no longer offered to new students in 2003). (b) Subject to subrules (c), (d) and (e) of this Rule, a combined degree candidate shall qualify for the degree of Bachelor of Laws by gaining credit for units with a prefix LWZ, LWO, LWA, LWB, LWC, LWH or LWS with a total credit point value of 260 points. (c) A candidate shall not be granted credit for more than 50 credit points of units with a prefix LWZ, LWO, LWA, LWB, LWC or LWH in which a grade of Pass Conceded has been obtained. (d) (i) A combined degree candidate shall be required to complete all of the units prescribed in Schedule 1 Part D in the order set out therein or in such other order as the Dean may permit. (ii) Schedule 1 Part D includes reference to "Non Law Units". The Non Law Units that a Combined Degree Candidate shall be required to complete will be as specified in the section of Schedule 1 Part E relevant to the degree thast they are enrolled in (other than the Bachelor of Laws) pursuant to rule 16(a). (a) Subject to sub-rules (b) and (c) of this Rule, a candidate shall qualify for the combined degree of Bachelor of Jurisprudence and Bachelor of Laws by gaining credit for units with a total credit point value of not less than 400 points in not less than five years. (b) A candidate referred to in sub-rule (a) of this Rule shall not be granted credit for more than 50 credit points of units with a prefix LWZ, LWO, LWA, LWB, LWC or LWH in which a grade of Pass Conceded has been obtained. (c) A candidate referred to in sub-rule (a) of this Rule shall be required to complete all of the units prescribed in Schedule 1 Part C, in the order set out therein or in such other order as the Dean may permit. (e) A candidate shall be required to complete two units with the prefix CUC. A candidate for the award of the Bachelor of Laws degree as part of a combined degree course shall not be eligible to be awarded the degree until they have completed the additional requirements applicable to the other degree in such combined degree course. Rules 1, 2, 3, 4, 5, 6, 7, 8, 9, 10, 11, 12, and 13 shall apply to the combined degree courses.